If your students are like mine, they love any activitiy that includes technology. 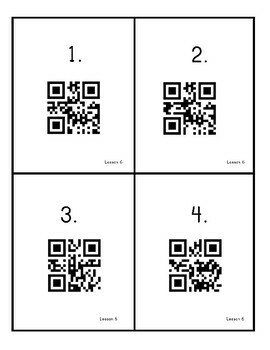 QR codes are a fun and easy way to add a little tech to your centers or other activities. This activity will even work if you’re a one iPad classroom like mine. All you need is a device that can scan the codes such as an iPad, iPod, smartphone, or tablet. You can get a free QR scanner app for free where you download apps. This packet includes materials for each of the five lessons in Unit 2. These words are included in the 2012 and the 2014 Common Core Editions. 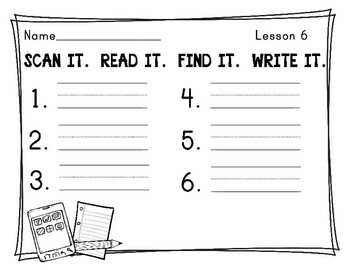 Each of the five lessons in the packet include 6 code cards to scan, 6 spelling word cards, and 1 recording sheet. The students pick a code card and scan it with their device. 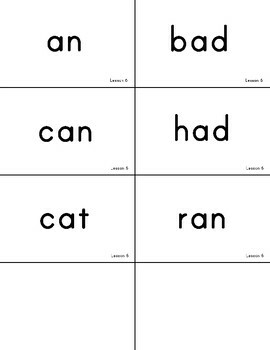 The code will show 1 of the 6 spelling words for that lesson. Next they read their word and then find the matching word card. Finally they will write the word next to the correct number on their recording sheet. This makes a fun center or small group activity. 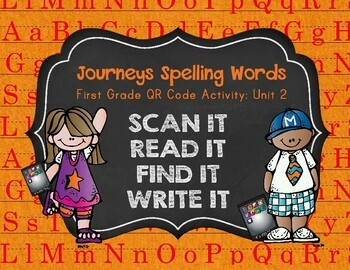 Visit my TpT store for other materials to supplement Journeys.